Our goal is to create memorable, restaurant-style dining for our residents through an unwavering commitment to fresh ingredients, scratch cooking and service excellence. We offer chef-prepared delicious, nutritionally sound meals each day and endeavor to use ingredients that are locally sourced. We build customized, creative menus to meet the individualized needs and desires of our residents. We offer weekly housekeeping and laundry services for our residents. Our stellar housekeeping staff have all been part of the Sunnyside family for years. We strive to provide a safe environment and do our best to meet the individualized needs of our residents. 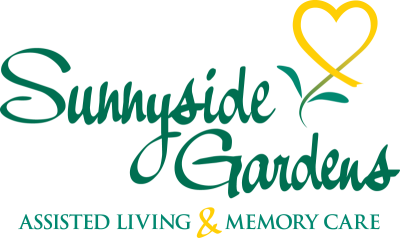 We offer daily fitness and wellness classes that are tailored to optimize residents' quality of life while at Sunnyside Gardens. The National Institute of Aging provides significant evidence that creating a positive health and fitness routine can help to reduce chronic pain, lower depression, improve sleep, increase memory and brain function, and achieve greater mobility and independence. Residents find our fitness program rewarding and fun! Our rooms are appointed with patio gardens and we have several landscaped, outdoor areas where residents can dine alfresco or visit with family members. We also have an on-site beauty salon. We offer car service to local medical appointments and bus service to shopping and entertainment venues. We also offer outings each week from scenic drives, to dining at the latest "hot spot" to a trip to the movie theater or a museum. We tailor our transportation services to the needs and wishes of our residents.